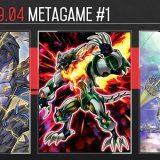 Welcome to Week #1 of the OCG 2018.10 format. China’s National Day Golden Week begun on 1 October. 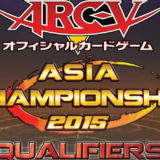 This week-long holiday saw 3 Duel City tournaments being held across different cities in China. 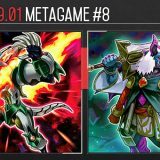 This report will cover 48 top-performing decks from 8 tournaments that were held in Japan and China during 2 – 9 October 2018. 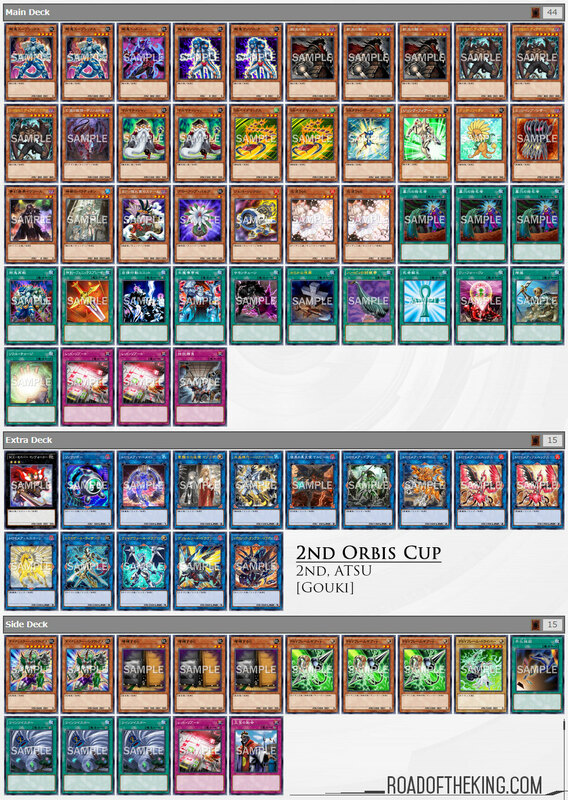 Numacchi (ぬまっち) went 8-1 and finished 1st in “2nd Orbis Cup with Hatti CS” which had 60 participants. 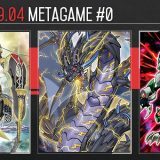 He ran a second copy of Sky Striker Mecha – Shark Cannon in the Main Deck, a trend that is occasional seen in some recent Sky Striker builds. 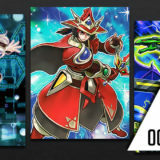 In the Sky Striker mirror match, Shark Cannon is used to banish the opponent’s Sky Striker Ace – Raye to break their loop. If there are 3 or more Spells in the graveyard, Shark Cannon can also be used to revive the opponent’s Sky Striker Ace- Kagari, which in turn will retrieve Sky Striker Mobilize – Engage!. Against Gouki, Shark Cannon is used to banish Destiny HERO – Malicious, Destrudo the Lost Dragon’s Frisson, Blackwing – Steam the Cloak, Glow-Up Bulb or Jet Synchron. It can also be activated in response to Gouki Re-Match, Monster Reborn or Soul Charge. To a certain degree, Shark Cannon is sometimes more reliable than Sky Striker Mecha – Widow Anchor at disrupting Gouki since it is unaffected by Magical Mid-Breaker Field. However, outside of the Sky Striker and Gouki matchup, Shark Cannon is often a dead-weight and only useful for reviving a Tuner Monster to go into Crystron Needlefiber. 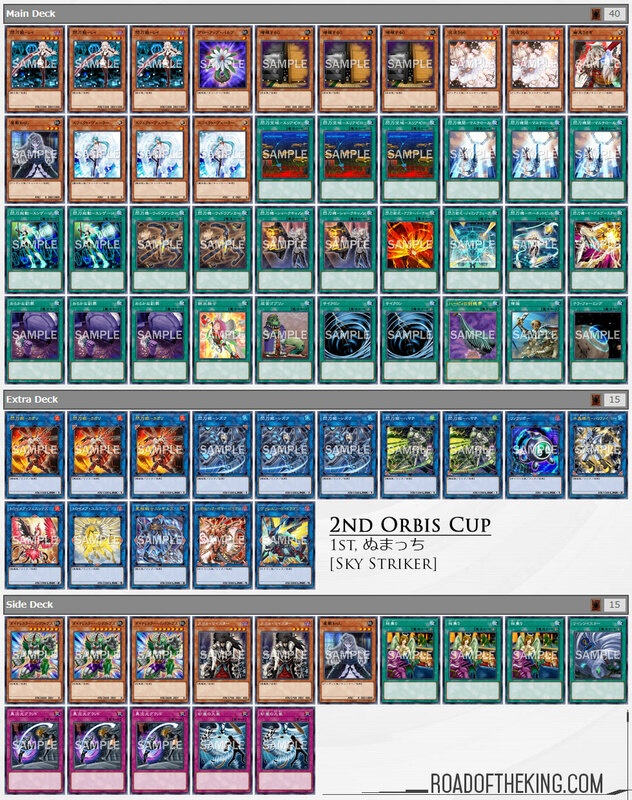 ATSU went 8-1 and finished 2nd in “2nd Orbis Cup with Hatti CS” which had 60 participants. 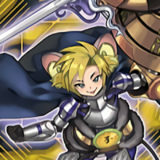 He ran a hybrid variant that runs both Armageddon Knight and Mathematician. 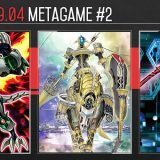 However, unlike the plant build featured in the previous week’s report, Mathematician‘s effect in this build is mainly used to send Edge Imp Sabres from the deck to the graveyard. By placing 1 card from hand on the top of the Deck, Edge Imp Sabres will revive itself. This also allows you to return Destiny HERO – Malicious to the deck if you happened to draw into them. 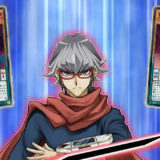 Edge Imp Sabres and Mathematician are then used to Xyz Summon M-X-Saber Invoker. 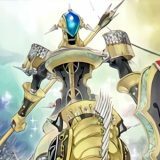 Following is the standard play of using M-X-Saber Invoker to Special Summon Gouki Suprex and then Link Summoning Isolde, Two Tales of the Noble Knights. He also ran a copy of Chain Summoning to play around ‘Hand Traps’. 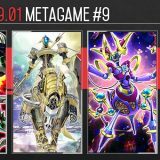 When the effect of Armageddon Knight or Mathematician is activated on Chain Link 1 and the opponent responses with Ash Blossom & Joyous Spring, Effect Veiler or Infinite Impermanence on Chain Link 2, Chain Summoning can then be activated on Chain Link 3. 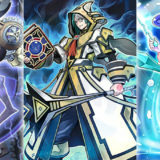 With the additional Normal Summons, he could then summon another Armageddon Knight or Mathematician and push on with the combo. 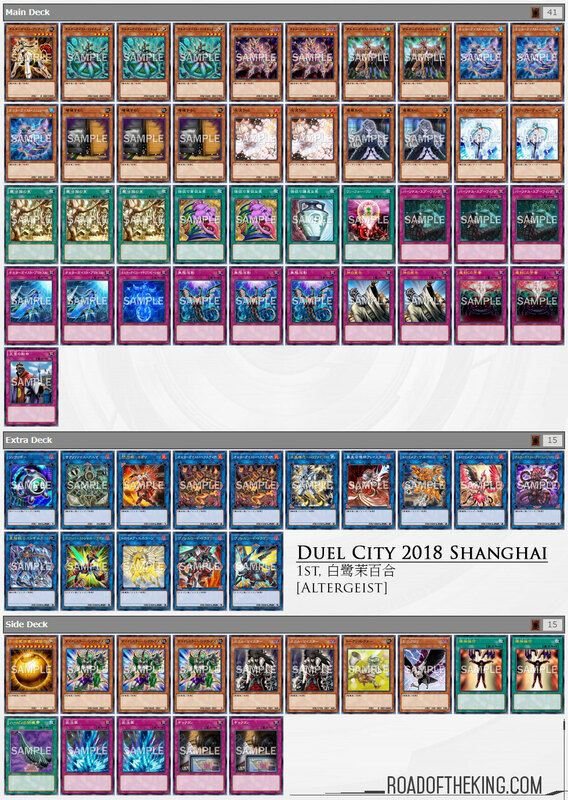 Shirasagi Mayuri (白鹭茉百合), 8th CNC Champion, went 8-2 and finished 1st in “Duel City 2018 Shanghai” which had 73 participants. 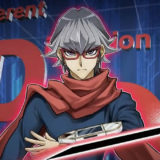 He ran a standard build focused on beating Sky Striker with Secret Village of the Spellcasters and Anti-Spell Fragrance in the Main Deck. 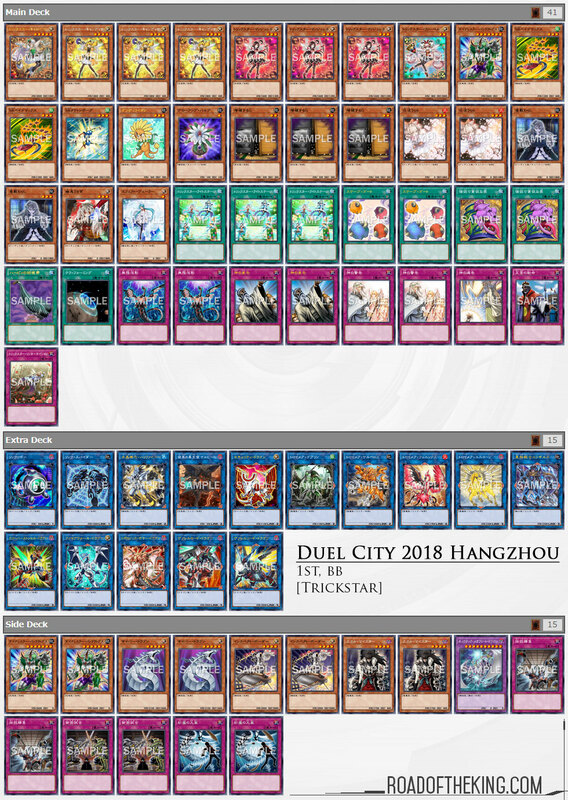 bb went 8-1-1 and finished 1st in “Duel City 2018 Hangzhou” which had 84 participants. 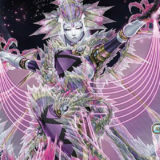 His ran a standard build with an all-rounder Main Deck, keeping the tech cards such as Cyber Dragon, Chimeratech Megafleet Dragon and Inspector Boarder in the Side Deck. 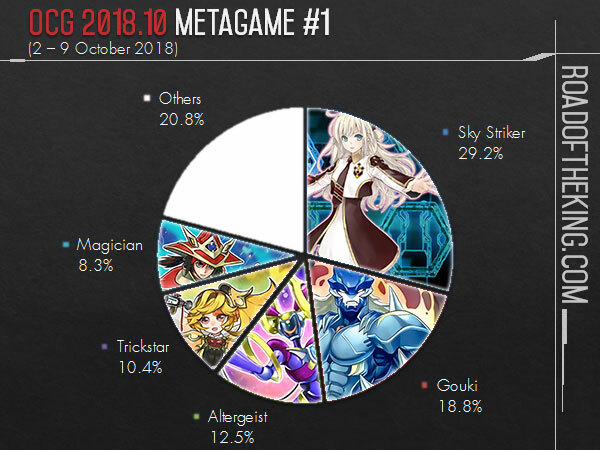 Sky Striker and Gouki are the two main decks to beat in the early OCG 2018.10 format. 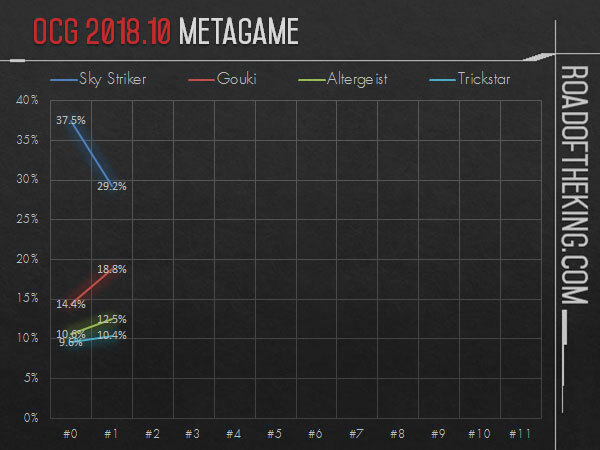 Altergeist and Trickstar continues to trail behind. Savage Strike will be release in the coming weekend, giving us 2 weeks of playtesting before the next major tournament in Asia – YOT Taiwan 2018. Alhtough I am not able to provide a financial support, once again I whole heartly want to say thank you for making this reports! Thank you for the compliments, very much appreciated. 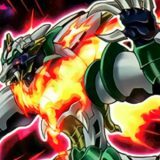 Anyone planning to build Thunder Dragons in the TCG should be paying attention to this before they sink an unnecessary amount of money into a deck that consistently has under preformed. That’s not gonna stop them from wasting money.